I got some good news. 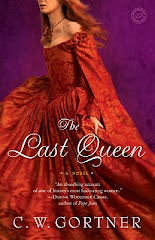 My first official review for THE LAST QUEEN appeared in Publishers Weekly and everyone at Ballantine Books is thrilled. The galleys went out only recently, so I was surprised to hear a review had already appeared. I was also taken aback by its generosity. My agent had gotten word shortly before she left the London Book Fair that the review would be published - which would prove a boost to her in promoting the sale of foreign rights, if the review was good. But she didn't tell me the review was due, because she knew I'd work myself into a froth over the possible implications of it being negative. She knows me well :) I've been warned by fellow writers far more established than me that these reviews can "make or break" a new writer's career. That in of itself seems rather unfair: I mean, is not reading subjective? How can a mere review determine the fate of any writer? Well, apparently, it can - and often does. More and more, overworked booksellers and librarians are looking at the reviews from the four big sources - Publishers Weekly, Kirkus, Booklist and Library Journal -to decide which books to purchase for their customers and patrons. The marketplace is crowded; space in physical outlets is shrinking; independent stores are struggling. No bookstore or even library, except perhaps the Library of Congress, can stock every book published. Reviews assist buyers to make decisions regarding their merchandise. It's hard for me, both as a reader and a writer, to regard books as "merchandise", though in fact that is exactly what they are in the commercial setting. To me, the copy I buy is unique, imbued with the magic of words meant for me alone. I tend to forget at least another 5,000 copies sit elsewhere, waiting for other besotted readers to make them their own. I suppose it's just as well that I can persist to some extent in my own naivete: I do have a marketing background that will help me immeasurably to hit the ground running, so to speak, when my book is released; yet to retain some of that wonder I've always had when I see a book will also help buoy me past the crueler shoals of the big bad world of large scale publishing and sales. Anyway, so I got congratulatory e-mails and a good PW review. It should have been *starred", my associates lament. Honestly, I'm just happy that I've glided gracefully past this particular shoal, seeing as it could have sunk my ship. 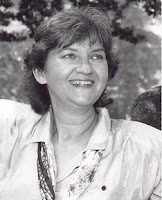 I'm honored to present Judith Merkle Riley, acclaimed author of THE SERPENT GARDEN, A VISION OF LIGHT, IN PURSUIT OF THE GREEN LION and THE WATER DEVIL (all re-issued recently by Three Rivers Press), as well as the sublime MASTER OF ALL DESIRES and THE ORACLE GLASS (soon to be reissued). I had the tremendous good fortune to meet Judith in 2004 at the first U.S. Historical Novel Society Conference. I'd been a fan for years, and I was delighted to discover that she's as witty, observant, and intelligent as her books are. We struck up a friendship at the conference that has since flourished. She is responsible in no small measure for encouraging me to submit my work to my current agent, who ended up representing me and selling my books. 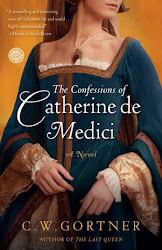 Judith writes about the medieval and renaissance periods; her lead characters are fictional women: ambitious, smart women chaffing against societal restrictions as they pursue with singular deter mination their heart's desires. While her characters often interact with historical events and people, what distinguishes Judith's work beyond its sparkling prose is her keen insight into the hearts of her characters and the patina of the supernatural that expertly interlaces with everyday life. No one is perfect in her worlds; and as in real life, the absurd often underscores the tragic. 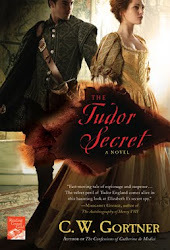 I rarely laugh out loud when I read a historical novel; with Judith's novels, I always do. She is a dame of the genre in every sense of the word; no one writes quite like her and her books are both delights and inspirations. 1. Judith, it's an honor to have you with us. Congratulations on the re-releases of your Margaret of Ashbury trilogy (A VISION OF LIGHT, IN PURSUIT OF THE GREEN LION and THE WATER DEVIL) and THE SERPENT GARDEN. It must be wonderful to se e your work reach a whole new audience. Your novels are unique, in that you combine a scholar's historical insight and attention to detail with great wit and a dash of the supernatural. What inspired you to write historical fiction? 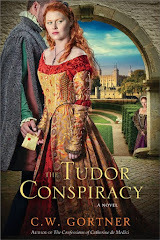 I LOVE historical fiction; I grew up on that and on Sci-Fi. I just didn't think I could write. In fact, as a kid, I thought fiction was some sort of eternal thought that came from another place not of this earth, and didn't "get" that actual people wrote it. I guess I still think that, even though I discovered I could write fiction myself. It all started when I wrote an academic non-fiction book, and my colleagues said it was suspect as social science because it was "too well written." Well, thought I (after much debate) if I write too well for my profession, why not try a better one? If the novel's awful, I can always hide it, and the colleagues will never know! 2. Your novels feature strong female characters who face, and often subv ert or overcome, obstacles of gender and social circumstance. Margaret of Ashbury wants to write but is illiterate; Susanna, the heroine of THE SERPENT GARDEN, becomes a painter in a time when women rarely had careers. As a writer, how do you go about conceiving your lead characters? Do you find portraying their experiences as women of the past easy or challenging? Can you tell us about any methods you used to make your characters realistic and yet still accessible to the modern reader? My lead characters are usually composites of women who actually did the things I write about. For example, writing a novel about people in the medieval period is greatly hampered by the fact that few wrote about their state of consciousness -- and who wrote about women anyway? The exception is the mystics -- and the women mystics who wrote (and usually had to dictate their writing to a priest) would generally begin:"I know I am only a woman, and should not write, but GOD told me to." So there is Margaret of Ashbury, and Margaret's God, as well. Who could resist? Susanna (of THE SERPENT GARDEN) is also a composite: she began when I discovered that Victorian-era historians had misread "paintrix" in the royal accounts for "nutrix" (nurse) because they couldn't imagine that a woman could be a painter! It's quite a feat of sexism to translate a painter into a wet nurse. It is actually quite a challenge to portray a woman of the period and make clear the difficulties she faced without giving her a modern consciousness. In A Vision of Light, I used a framing narrative, and now I would find it very difficult to give up the first person, third person narrative. It lets one explore the social structure while keeping the "I" uncontaminated. There is also the question of portraying their relationship to their work in a realistic fashion. I once read a horrible novel about troubadours where all they did was tune their lutes in between bedroom scenes. It was pretty clear the novelist knew nothing about lutes, let alone music or musicians. We have a duty to try to put the reader into the 3-D alternative world seen by the characters. That's where the fun is, both for writer and reader. 3. 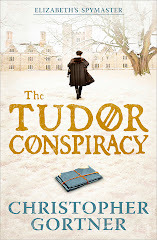 Your novels take place in medieval and Tudor England, and later Renaissance France. Real historical figures often interact with your fictional leads. Do you feel responsibility to adhere to facts when recreating historical figures within a fictional framework? I spend a lot of time with primary sources to try to keep the "real" historical characters as close as I can to what they did, saw, and felt. I don't rearrange dates or shift what is known about someone's personality into something more suitable for my purpose. (That is so '50's! I remember a book where the "She-Wolf of France" got a personality transplant and became a medieval Stepford Wife.) The problem comes when records are controversial, contradictory, or missing altogether. Sometimes you get surprises, too, when you start digging away, and someone is not at all what you have been led to believe. That makes it fun to write a "new" picture. alchemy i n Margaret of Ashbury's England, witchcraft in THE ORACLE GLASS or devils in THE SERPENT GARDEN. Did people of these times believe in the supernatural as a real force upon their daily lives? What fascinating facts have you discovered about supernatural beliefs in your research? As for the supernatural, it was so much a part of thinking back then, it would be unreal to leave it out. We forget that medieval people were Catholics, many went to mass every day, and they expected miracles. They also believed the Devil could pop up any time, and had probably offered one's suspiciously prosperous neighbor a slightly sulphurous contract. As for the witches in The Oracle Glass, we have the complete records of their interrogation under torture. They believed in a lot of what they did, and to the degree it was flim-flam, their clients certainly believed they had diabolical "powers." The age of enlightenment had barely gained a toehold in those days, and the wells of superstition were deep. The thing I wouldn't do, however, is stray from period beliefs -- say, putting space aliens into the 15th century. That's for another kind of fiction. 5. Historical fiction has become immensely popular of late, something we all can celebrate. Your novels defy genre conventions: they are historically accurate yet fictional in approach; they are based often on events that happened yet are transposed to suit the needs of your characters. 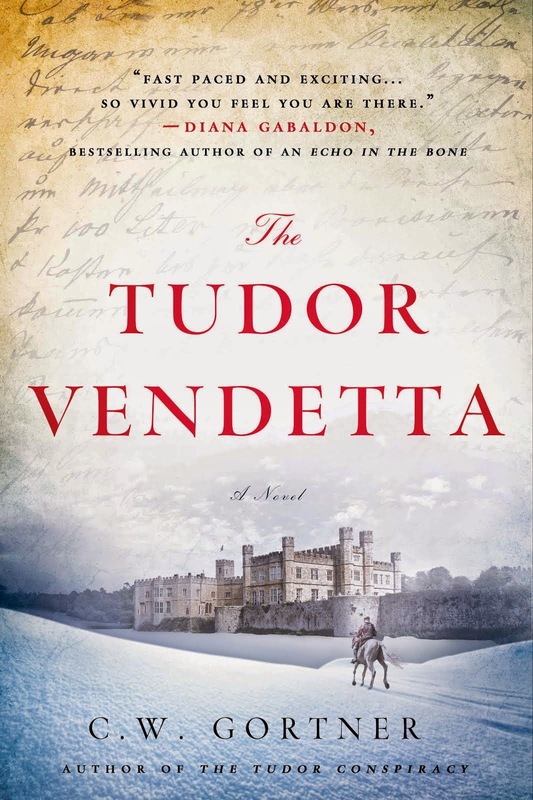 As a novelist, you do a formidable job of combining these elements into exciting and often humorous accounts that shed more light on the realities of life in the past than many, more "serious" historical novels. Did you set out to create a novel that defied genre expectations, and if so, did you encounter difficulties during the process of submitting to publishers? 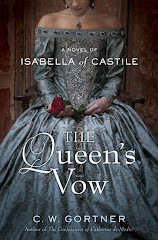 Yes to historical fiction! I never thought I was crossing genres. I just wrote what I liked to read. 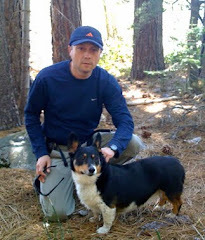 Luckily, I have a wonderful agent who understood what I was about and knew exactly how to sell my books. She sheltered me from difficulties and made everything work so that I could concentrate on writing. I don't think I can write without portraying things that resonate with today's reader. Greed, the financing of wars, the bankruptcy of nations, desperate social climbing, the collapse of morals, and the struggle to survive are universal themes. But instead of writing "The French were bankrupting their state with bad accounting and tax policies and headed toward a violent revolution," I have greedy witches mocking commercial values, idiot money-hungry aristocrats, the rioting poor, and people who see clearly but differ on what to do about it. Everybody is keeping on keeping on, and hoping the whole problem will go away. Why wouldn't it resonate? Currently I have taken on something a little different. I am using a wonderful real-life character , and it is a challenge to keep her accurate, explain her back story without being tiresome, and keep the information about her later life from tainting the period about which I am writing. Composites are easier! Thank you, Judith. It's been a pleasure and we're looking forward to your next book. In the meantime, readers can find the handsome new trade editions of her reissued novels whereever books are sold.